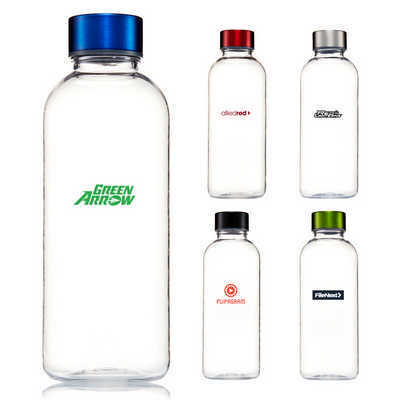 BPA free, Tritan drink bottle in either clear or translucent with screw top lid 600ml Supplied in polybag. Colours: Blue Lid, Red Lid, Green Lid, Black Lid, Silver Lid, Dimension: 75mm Dia x 200 H. Price includes : 3 Day Service* Pad Print / Laser Engrave - One Colour/Location. Setup is included.